Egypt - Giza is located west and south of modern Cairo in the vast desert that the ancient Egyptians imagined was the land of the dead. 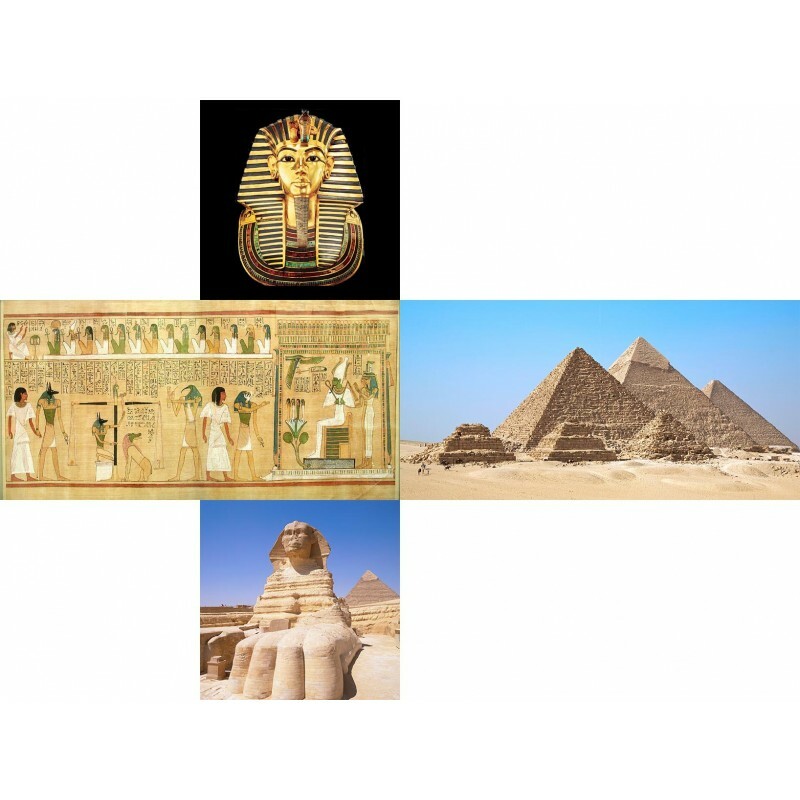 Guarded by the Great Sphinx, the plateau is dominated by the massive pyramids of Khufu (Gr. 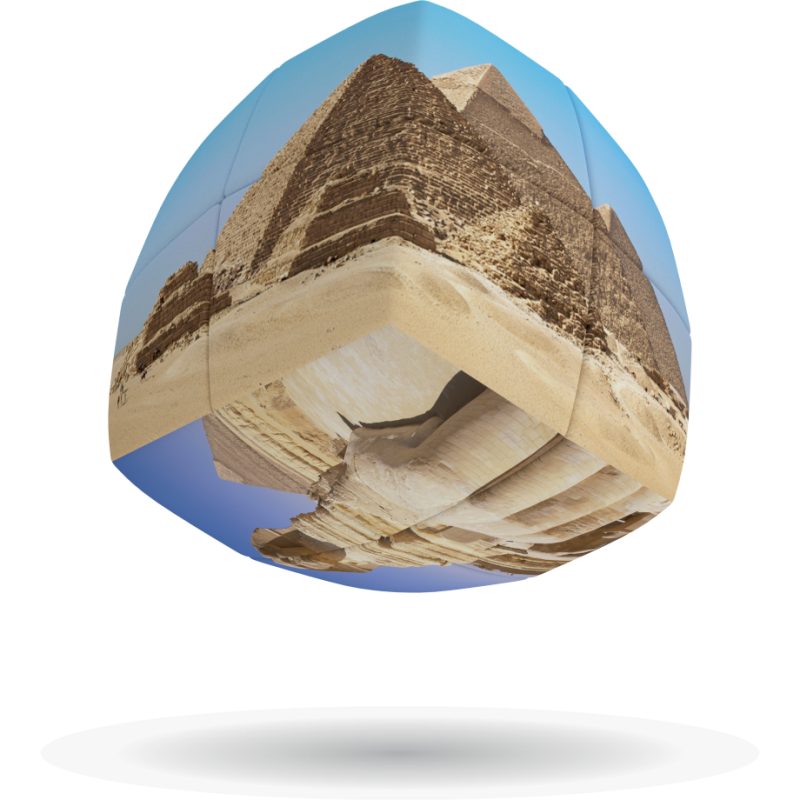 Cheops), Khafre (Gr. Chephren), and Menkaure (Gr. Mycerinus), all of whom ruled Egypt during the 4th Dynasty (c. 2500 BC). 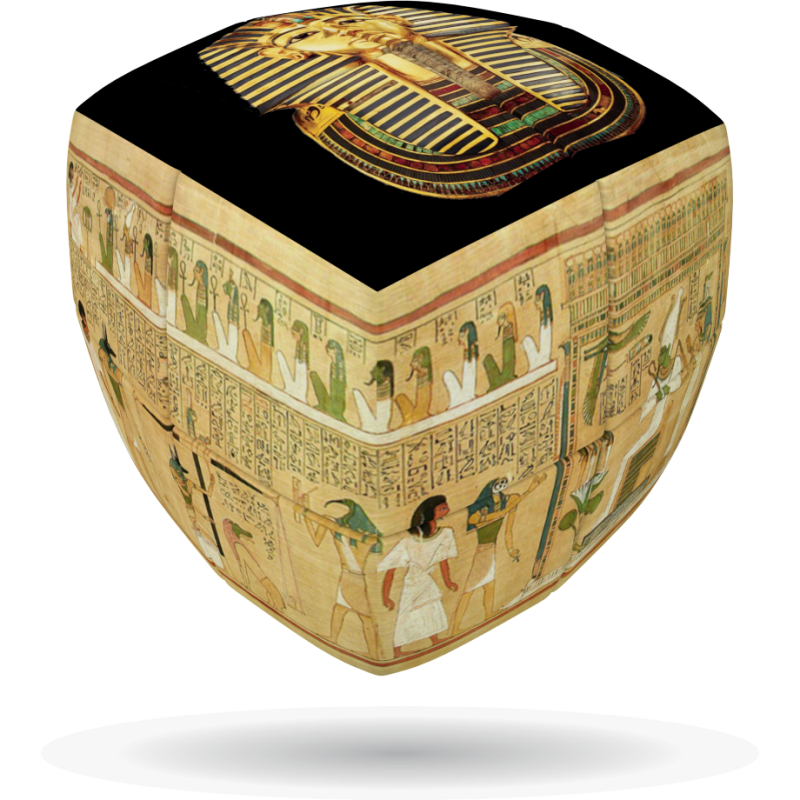 Travel back to the mysteries of ancient Egypt while you enjoy the intellectual challenge of the cleVer Cube, the finest quality rotational puzzle. 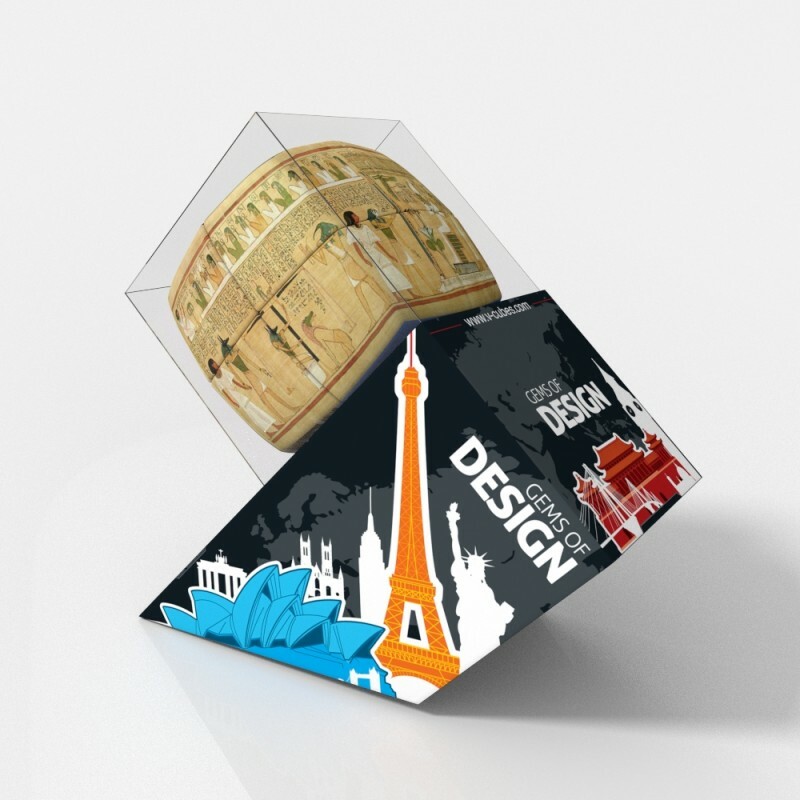 Buy now and add the magic of architectural design gems to your V-Collections!